Scripps Ranch’s very own Dr. Catherine Sy Luib, 34, was selected as one of the 100 Most Influential Filipina Women in the World by the Filipina Women’s Network (FWN) and is this year’s recipient of the Emerging Leader Award. Luib is the owner of Luib Health Center on Erma Road. According to The Global FWN, the 100 Most Influential Filipina Women in the World award recognizes Filipina women below age 35 who are making their mark in a leadership role. “The recognition I’ll be given by the Global Filipino Women’s Network is a tremendous honor because this will allow my message of holistic health and healing to reach more of our Filipino communities worldwide,” Luib said. A Riverside native, Luib relocated to Scripps Ranch three years ago when she opened the Luib Health Center. Before that, she had her own clinic integrated with a spa on the Royal Caribbean Cruise Line. Known as “Dr. Cat” to her patients, she exudes serenity and calm. She talks about science and spirituality as an intertwined topic and this plays a huge role in her treatments. Luib is all about the importance of food we eat, the environments we’re exposed to and even our own thoughts as major factors and driving forces for the kind of lives we live. Professional and precise in her approach, she treats her patients with a personal attentiveness and customized careful treatment that is rare these days. One of her patients is Kristine Custodio, secretary of the Filipino American Chamber of Commerce of San Diego (FACCSD), who spoke highly of Dr. Cat. If Custodio had never mentioned Luib’s involvement with FACCSD as its Vice President, no one would have been mentioned. The FWN is based out of San Francisco and is an international networking group for Filipina professionals, according to Custodio. The Global FWN’s leadership summit happens yearly in different locations around the globe and this year’s summit will be in London in September. Only a recent member of the network for the past year, Luib has quickly become a valued partner, according to the FWN. She is spoken of highly not just by her colleagues, but also her patients. On top of her duties at the clinic, Luib is also heavily involved in leadership positions in Filipino networking circles and organizations that allow the wider expansion of Asian culture. She is an active member of Silayan Filipina, which she described as more of a localized form of FWN. She also serves as a director on the board of the Asian Culture Media Alliance (ACMA). Her nomination for the Emerging Leader Award comes not only with great honor, but an added responsibility just like with every recipient. 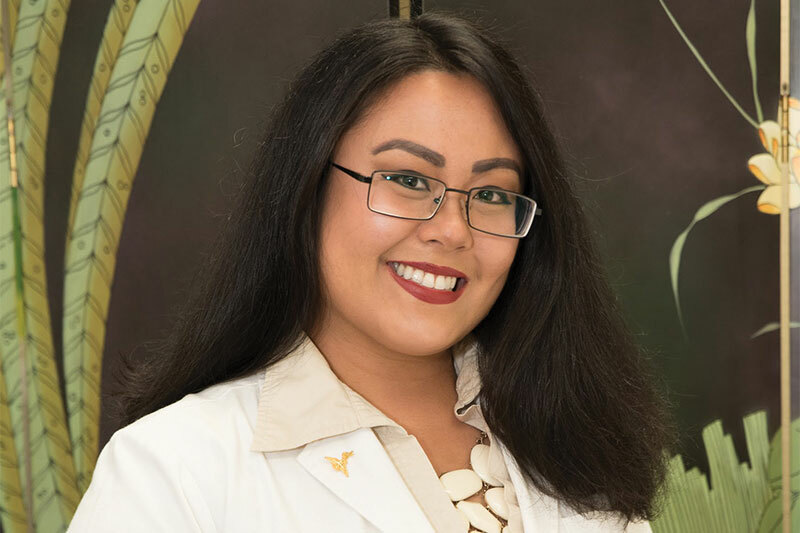 With this award, more will be expected of her, including a “femtorship”– something that she’s already partaken in with her internship program at the Luib Health Center mentoring Filipina interns at her clinic. The Luib Health Center offers treatments such as acupuncture (medical, laser and cosmetic), cupping and biomat treatments. On top of that, healing resources include traditional Chinese medicine, teas, herbs, vitamins, organic healing food and cannabis-based medicine. The Luib Health Center is located at 9845 Erma Rd., Suite 301. Visit luibhealthcenter.com.